If there is one thing Korea is known for other than K-Pop, it would have to be their interesting and pretty cafes all around. During my stay in Seoul for a good five months for my university exchange, I went on a mission to visit as many cafes as I could. Ok guys, brace yourself, this is by far the most memorable and prettiest cafe I have been to in Seoul! 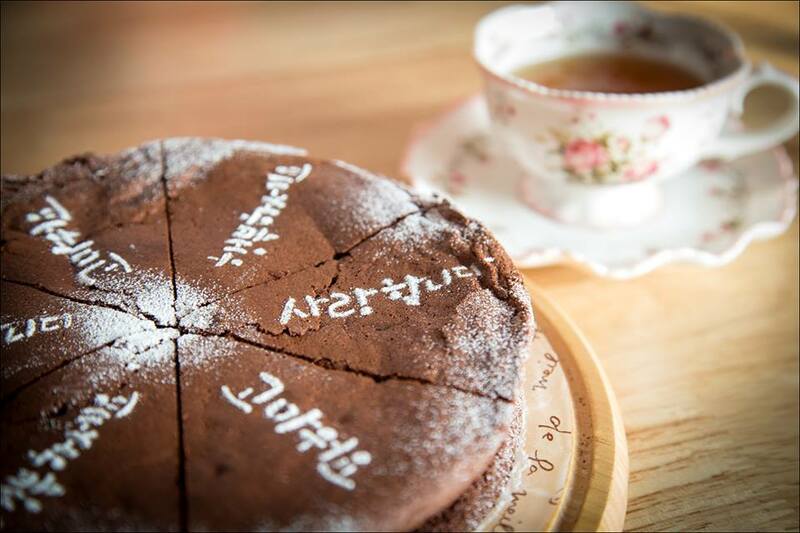 If you have time to visit only one cafe, Cafe Hoho Myoll is one stop you must not miss. 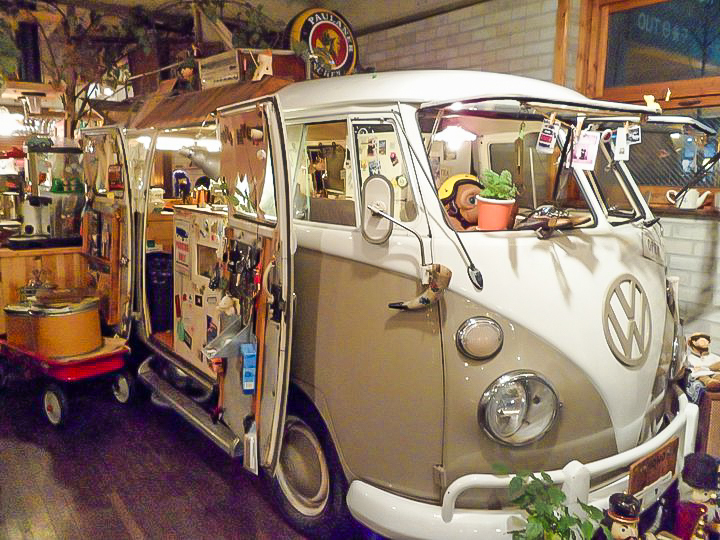 The cafe is set against a vintage theme; upon entering you see a decorated retro Volkswagen van that doubles up as a seat in the cafe. Walk in further and you will feel as if you have entered a scene from a fairytale storybook. The entire interior of the cafe is decorated with several mismatched items that seem to match beautifully when you put them all together. Fairylights don the ceiling, cute miniature toy cars and dolls line the sides, and memorabilia are plastered everywhere over the walls. No table in the cafe provides the same view of the cafe; every seat is a unique experience. With the aroma of coffee in the air and warm lights filling the area, the cafe’s ambience cannot get any cosier. The owner of the cafe is very friendly. He will constantly engage in small conversations with customers. You won’t go wrong with their iced maple latte and Oreo cheesecake. How to get there: Alight at Sangsu Station, Line 6, and take Exit 2. Turn left and walk towards Hongik University. 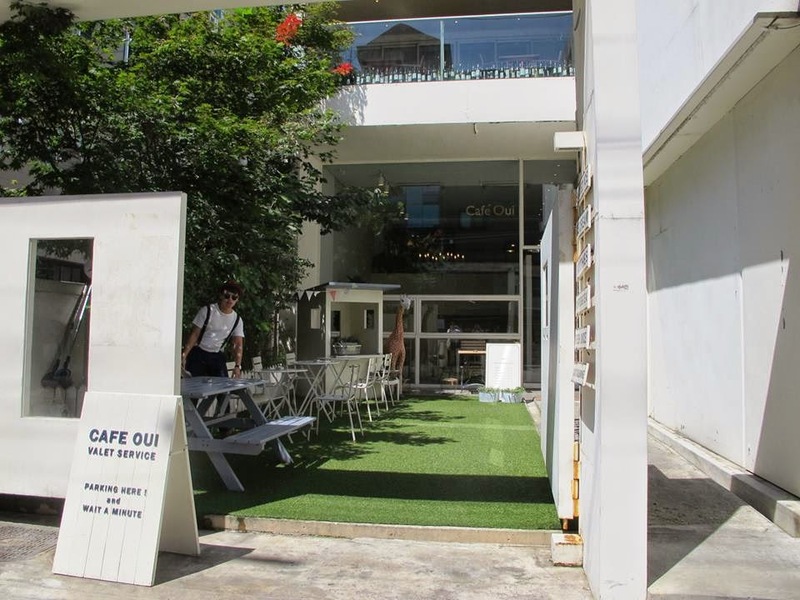 Located in the smaller alley of Edae shopping street, Cafe Noriter is a good place to rest your feet after all that intense shopping. Tucked away on the second level of the building, it is slightly hard to find, but well worth the effort. Instead of the usual tables and chairs you would see in a cafe, Cafe Noriter has private cubicles that serves as a sitting area. There are even cushions for you to hug and lie on, making it so comfortable I could stay there for hours. 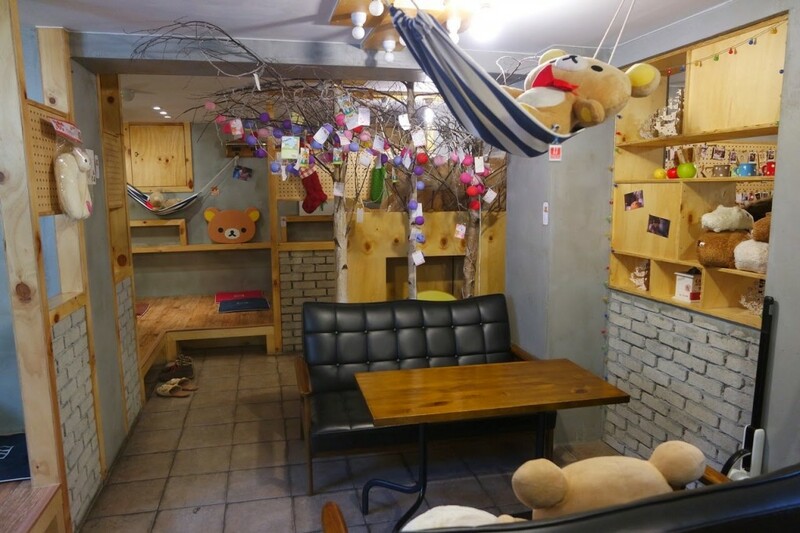 The interior of the cafe is cutely decorated with colorful chairs and soft toys, and the walls are filled with Post-its and polaroids of people who have visited the cafe previously. The cafe however has a house rule that everyone must order one item there. I only managed to try their Lemon Peach-flavoured iced tea and while it was a tad too sweet, it sufficiently quenched my thirst during the hot summer days there. 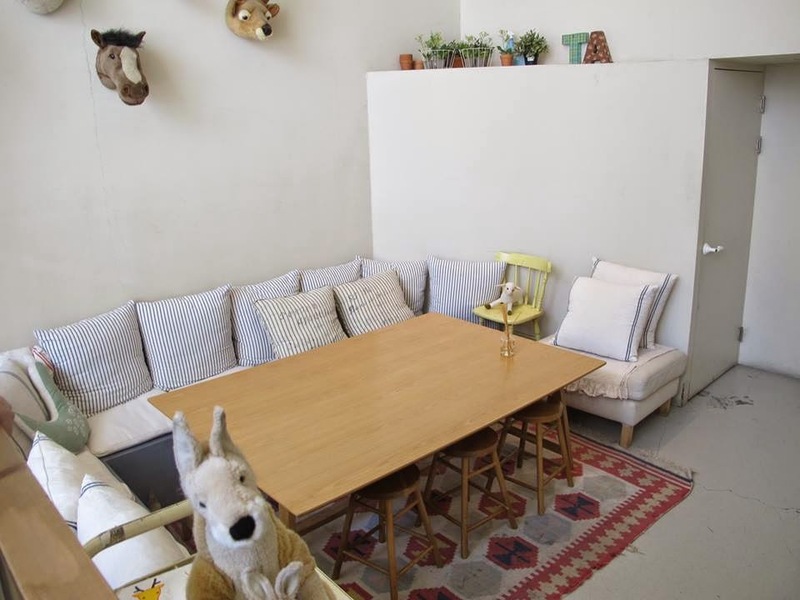 The brainchild of popular Youtubers eatyourkimchi, You Are Here Cafe is situated in the quiet neighbourhood off Hongdae. 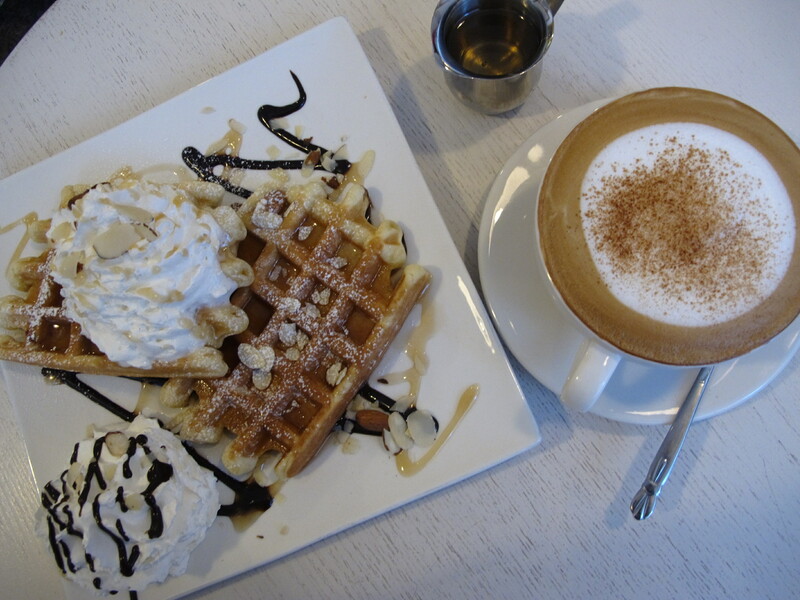 The cafe occupies a two-storey building and even has a large patio in front to accommodate al fresco dining. At the entrance of the cafe, you will be greeted with a large graffiti-filled wall that is too pretty not to take a picture with. The cafe has a simple and minimalist decoration that gives off a relaxed vibe all around. It is definitely the perfect place to spend a lazy chill afternoon sipping some grain latte and watch the world go by. How to get there: Alight at Hongik University station, Line 2, and take exit 1. For more detailed directions, click here. Welcome to the world of Rilakkummas! 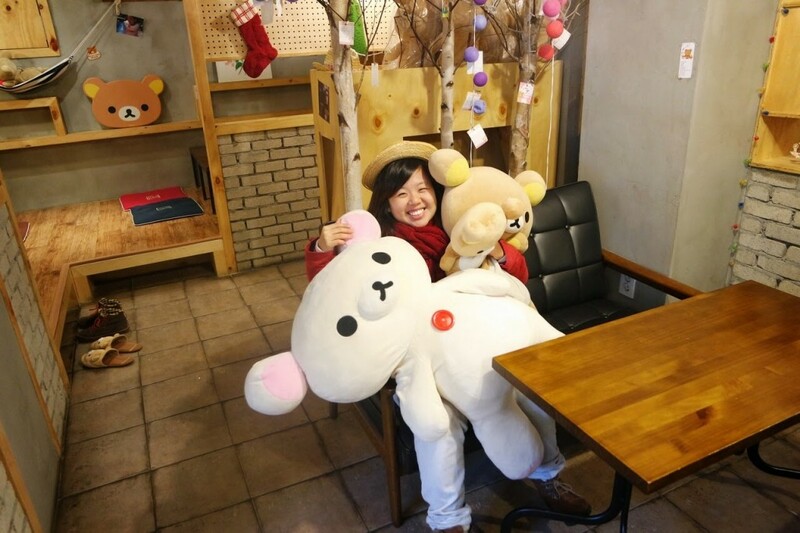 Capi Capi Loom Loom cafe is one of the many themed cafes in Seoul, and if you are a fan of the cute bear soft toy, this cafe is a must-go. 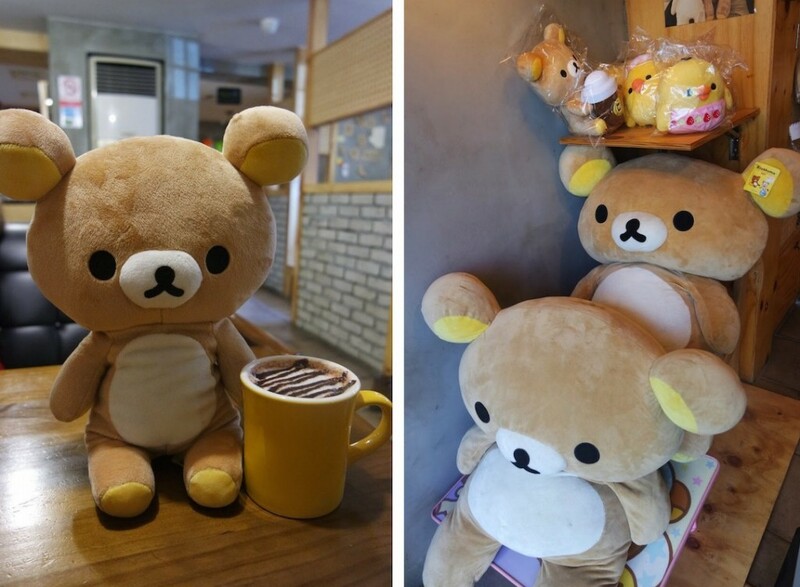 The cafe is filled with all things Rilakkuma – from soft toys of all sizes, keychains, stationery to even bags. 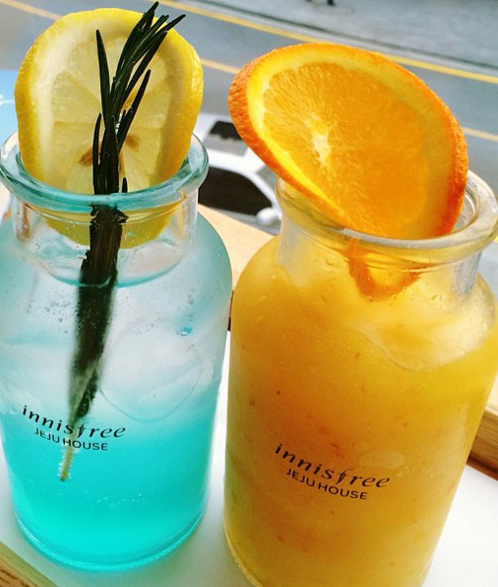 It is a refreshing find in Seoul. The menu even has interesting items like pistachio latte (which I found to be too sweet). I will probably still give it a second try and visit the cafe again when I return to Seoul, simply because the cafe is too cute to resist! How to get there: Alight at Sungshin Women’s University Station, Line 4 and take Exit 1. Turn right into the alley before KB Bank and walk straight until you see a cross junction. Turn left and keep right. The cafe is on your right. 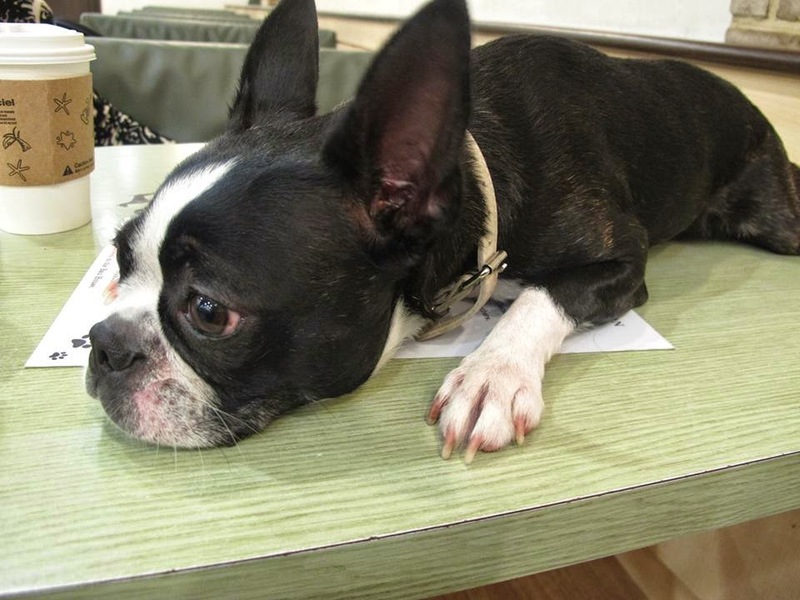 Animal cafes are the trend in Seoul, and your visit is not complete till you visit one of them. 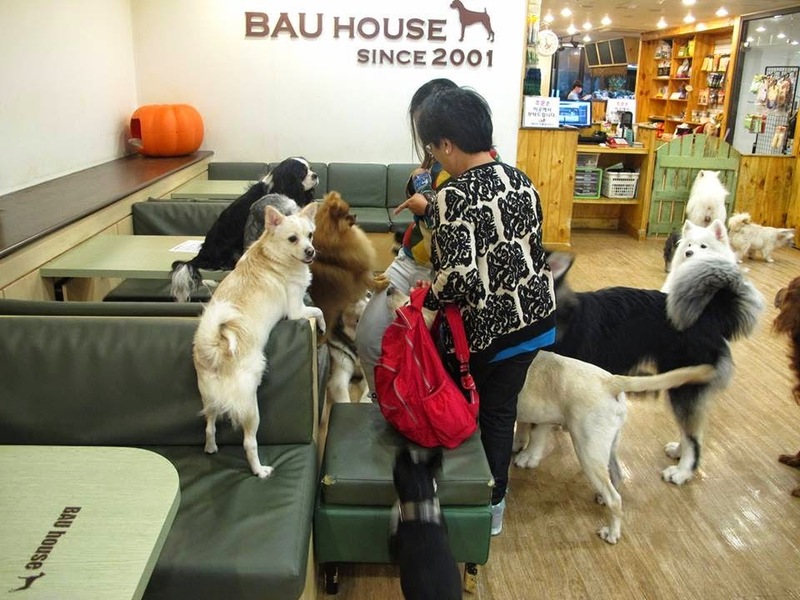 Bau House cafe is a dog-themed cafe situated just outside exit 3 of Hapjeong station, and its easy accessibility is probably one of the reasons why this dog cafe is very popular amongst the people. Dogs of all sizes are free to roam the cafe, and while some may look intimidating, they are actually all people-friendly and do not bite at all. Dog lovers like me will absolutely love this place, and I spent a whole afternoon there just playing with the pooches. The trick to getting dogs to swarm around you? Grab a packet of dog treats at their counter and the dogs will be all over you in no time at all. How to get there: Alight at Hapjeong Station, Line 2, and take Exit 3. Turn right and walk down the nearest road and you should see the sign for Bau House on the ground floor window of the building. Cat lovers fret not, there is also something in store for you in Seoul. 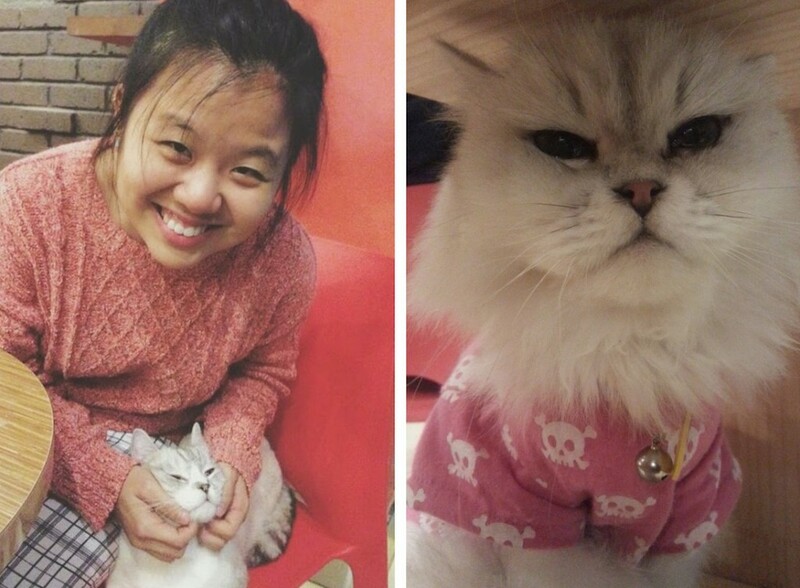 Situated on the streets of Hongdae, Cheong Chun Cat Cafe is one of the many animal cafes you can find there. I made a random decision to visit this cafe, but it was a pleasant surprise for me, considering that I am not much of a cat lover. The cafe was small and cosy, and cats were so pretty to look at. This is another cafe with a one-drink-per-person rule, and while admission to the cafe was free, the drinks are slightly pricey at about 8,000 won (about S$9.60) per cup. 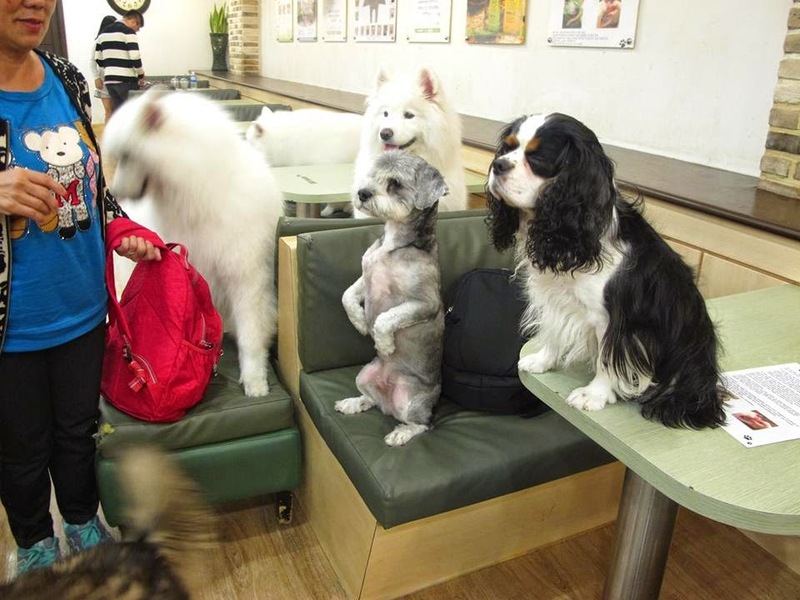 This price is however similar across all animal cafes, and the prices are considered reasonable, given that we get to interact with all these cute animals. How to get there: Alight at Sangsu Station, Line 6 and take Exit 1. Upon exiting the station, do a 180-degree turn. Walk along the left hand side footpath of the road you are now facing. As you walk you’ll cross at one set of lights. On your left you’ll come to a park at the top of a set of stairs. Take the stairs up and walk across the park. Between Smoothie King and a Ho Bar is an alley way, and at the end of the alley is the entrance to the stairwell which leads up to the cafe which is on the third floor. 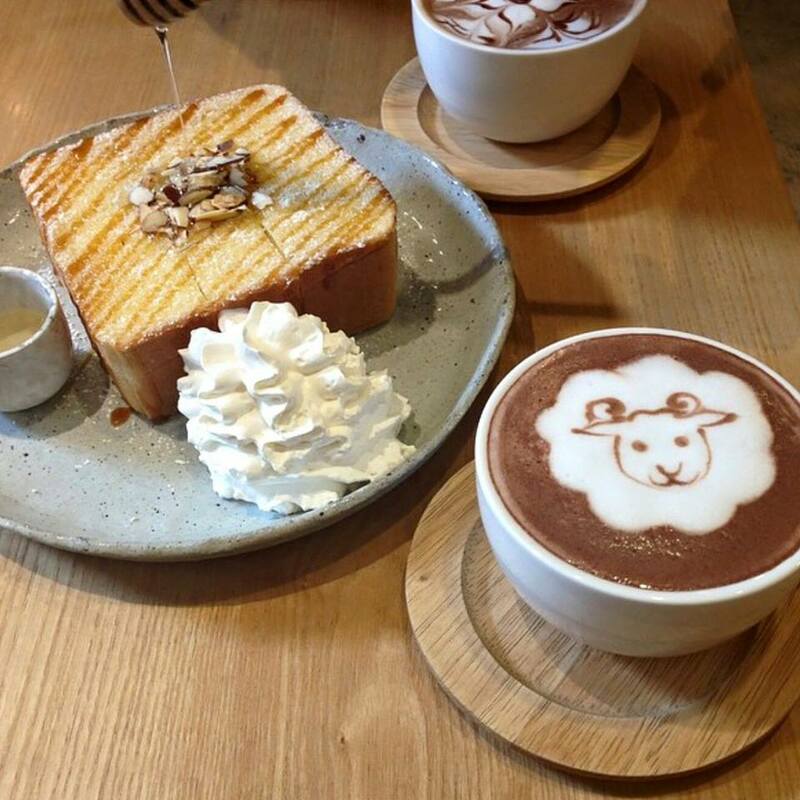 If dog and cat-themed cafes are not your cup of tea, we have a sheep-themed cafe for you. Yes, you’ve heard that right. And, you would actually get to see real sheep in the middle of Hongdae. 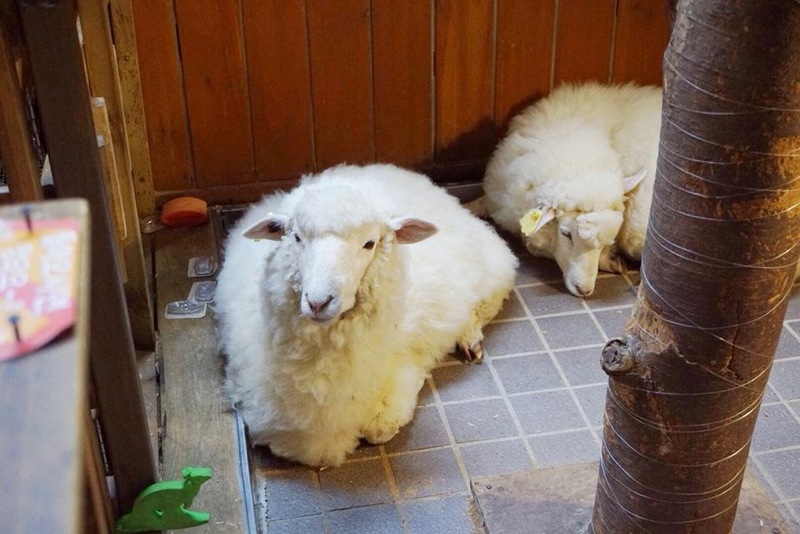 The quirky idea of putting sheep in a cafe seems weird, but the throngs of people who flock to this cafe daily is proof that the idea works. Allocate some extra time if you plan to visit this cafe as it is normally very crowded. When I visited the cafe, it was full and I had to wait for about half an hour before I got a seat. Thankfully, the sheep kept me entertained while I was waiting for my seat. Photo via Thanks Nature Cafe Facebook. A must-try there is their strawberry waffle. 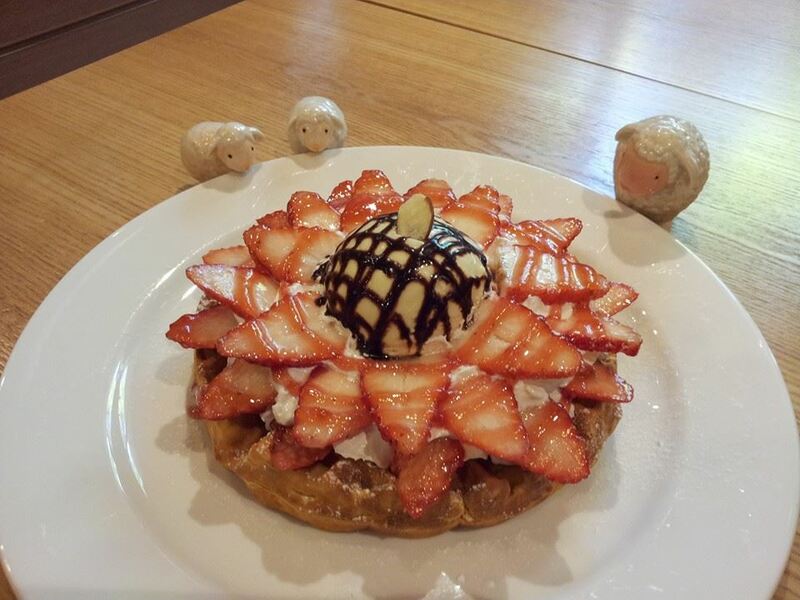 Generous amounts of strawberries topped on a crispy waffle served with your ice cream of choice was more than enough to leave me wanting for more. How to get there: Alight at Hongik University Station, Line 2, and take Exit 9. Turn left to go up hill at the first intersection. Walk towards Hongik University’s Main Gate. Look out for a neon sign that reads the café name and photos of sheep attached. 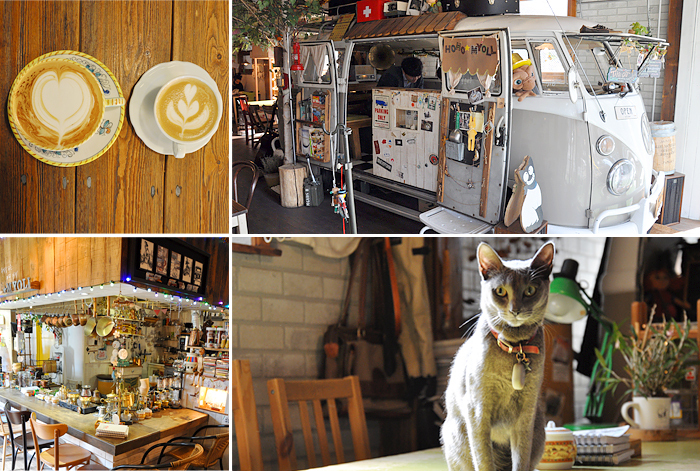 Located in the area of Garosu-gil, this cafe is certainly a pretty sight not to be missed. 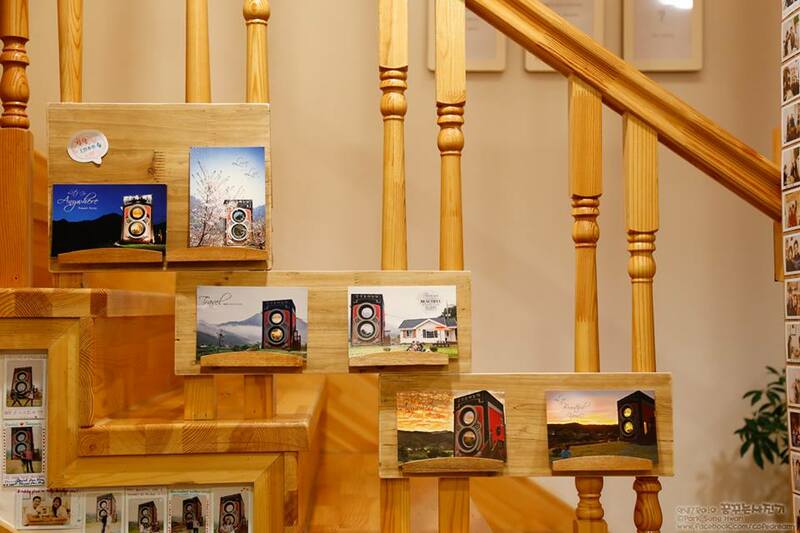 Garosu-gil is famous for its beautiful cafes; just walking around that area alone will leave you awestruck by how pretty the exterior of the cafes look. You definitely won’t have the chance to go into every cafe, but if you have to choose one, you’ve got to visit Cafe Oui. This cafe is set with a minimalist white theme, really simple but charming. The brunch there is delicious and filling too. 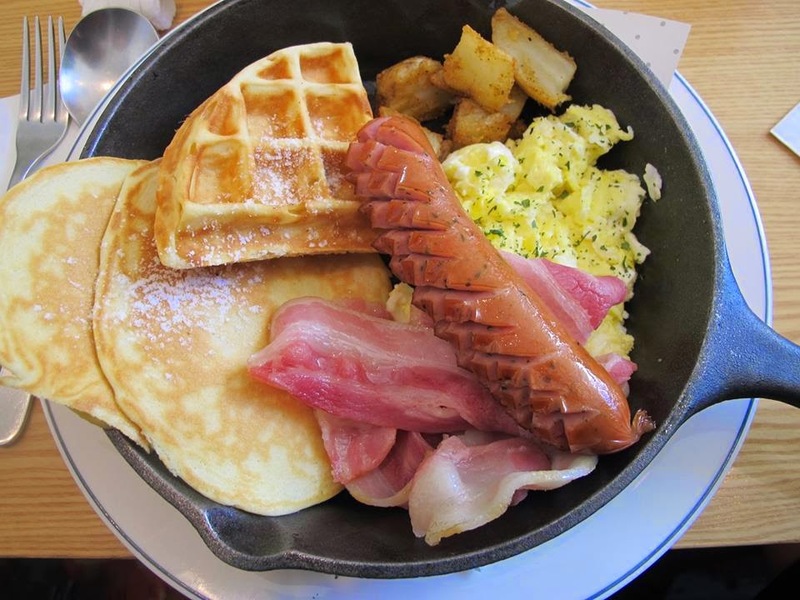 I had the pancake and waffle brunch which I felt was reasonably priced at 15,000 won (about S$18) for its huge portion. With good food and ambience, what’s there to say no to this cafe? Directions: Alight at Sinsa Station and take Exit 8. Follow the directions to Garosu-gil (walk straight for about 5-10 minutes, and turn left onto the street that says “Garosugil”). 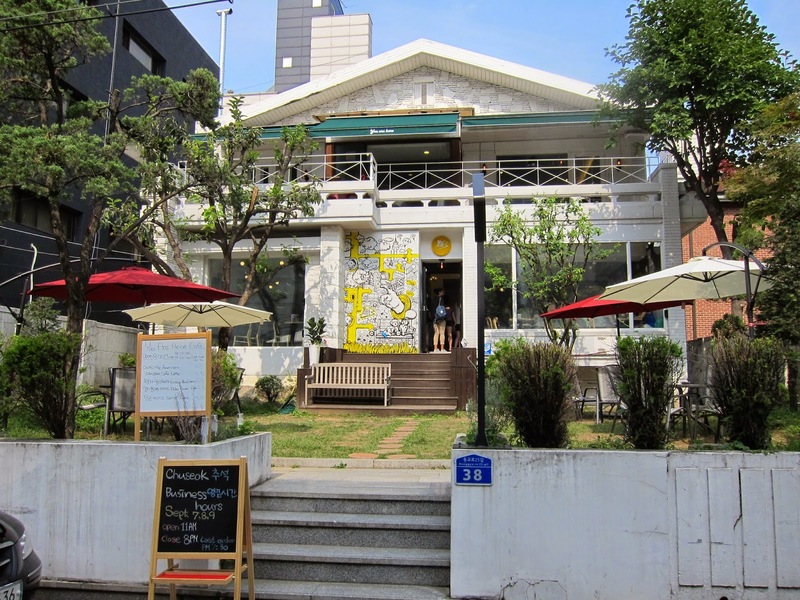 Once you’re on Garosugil, keep walking on the left side until you see Beans Bins Café. Turn left. Walk straight one block, then turn right at the mini intersection. Keep walking straight until you see the 7-11, then turn left. Café Oui will be on your right. Ever ate your cake out of a flowerpot? You’ll be able to do so at Banana Tree Cafe. 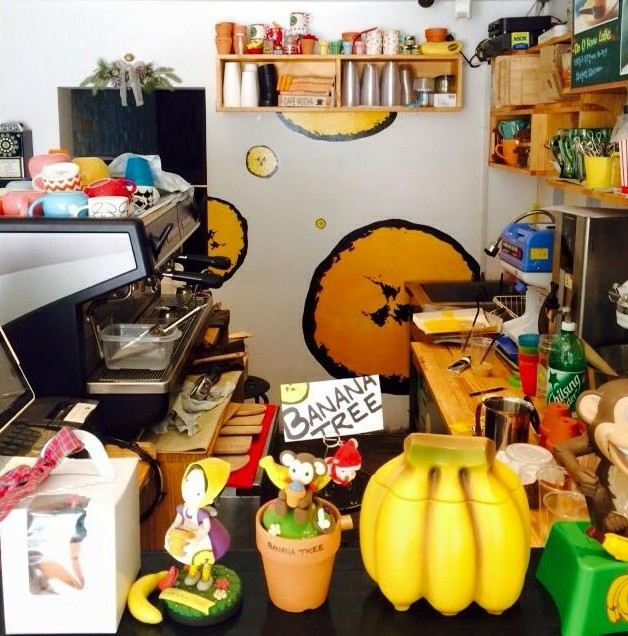 Located in a quiet alley of Garosu-gil, this is one cafe that serves pretty potted “plants” as desserts. 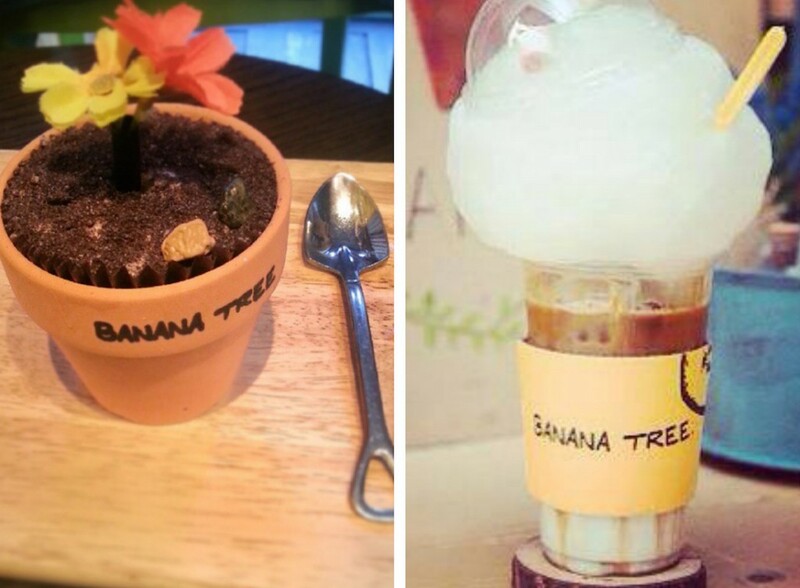 Their signature desserts include the Flower Paap (banana pudding in a flowerpot) and Som Som latte with candy floss toppings. Every single dessert is made so pleasing to the eye that I cannot bear to eat them. They don’t just look pretty though. I tried the Flower Paap and it literally melted in my mouth. The Som Som latte with candy floss toppings was a tad too sweet for me, but will be perfect for people with a sweet tooth. Overall, with the Instagram-worthy and great-tasting desserts, this place is worth a visit when you are in Seoul. How to get there: Take the subway to Sinsa Station, Line 6. Take exit 7, and walk straight till you see the zebra crossing. Turn left at the zebra crossing and walk straight all the way till you see the CU convenience store (about eight to 10 minutes’ walk). Turn right and you will see the cafe at a small corner of the road. Yes, Innisfree is more than just a famous makeup brand in Korea. It turns out that they too operate a cafe in the Samcheongdong area, and just like its awesome makeup products (I’m a big fan), their cakes are absolutely delectable. The must-try there is definitely the carrot and taro cake. It was so delicious I had to hold myself back from getting a second slice. There is a mini shop at the first level of the cafe, and if you spend 20,000 won (about S$24) and above in a single receipt, you get a token to put in a vending machine to win free samples/food. Talk about incentives to buy more. How to get there: Alight at Anguk Station, Line 6, and take Exit 1. Cafe Dal is found along the streets of Samcheongdong, and was a coincidental find when my friends and I decided to rest our tired feet from all the walking in the area. It is definitely worth a visit because of their good desserts. Their traditional red bean patbingsu was one of the best I have ever tasted, with generous servings of red bean and ddeok (rice cake) on top of a big bowl of shaved ice. 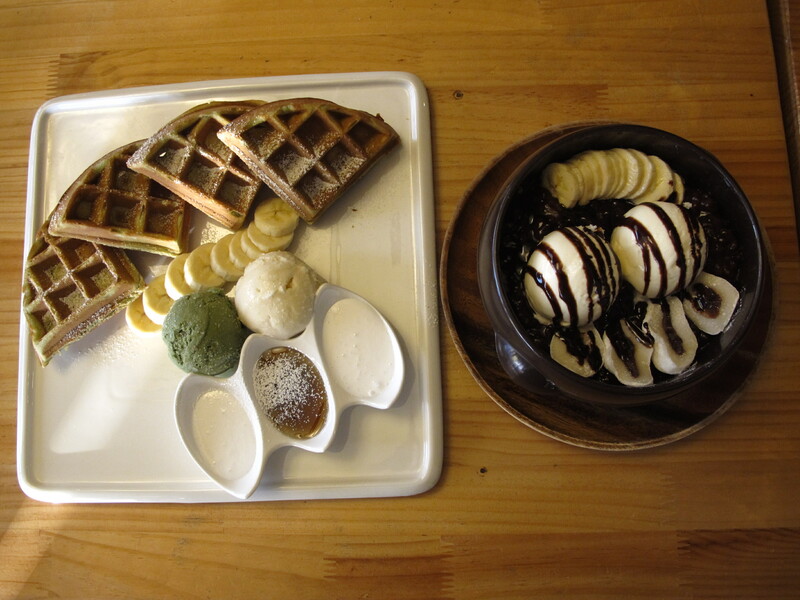 Their waffles are served with a side of green tea or vanilla ice cream – so delicious my friends and I ate all up in a matter of minutes. Who cares about calories? Yet another coincidental and interesting find in the streets of Hongdae, Cafe The Bridge is not like your conventional cafe. Designed to look like something like a dungeon, there are many different rooms inside and upon entering, the servers there will allocate you your own private room. 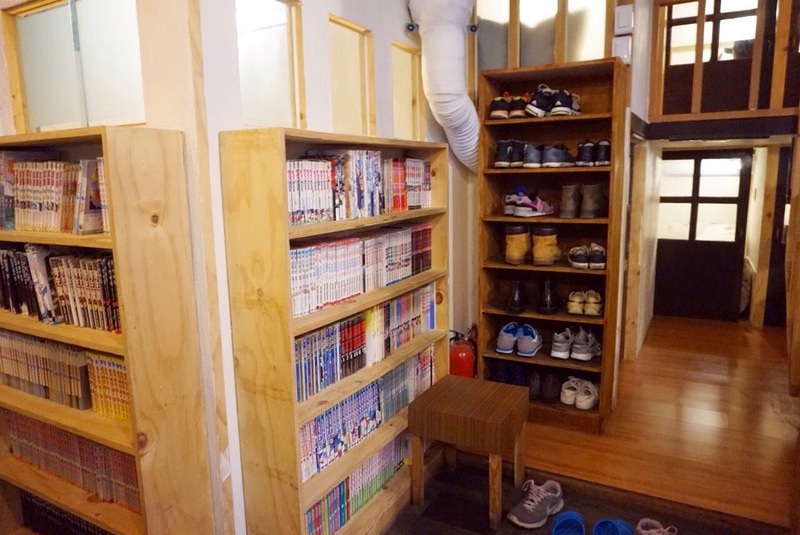 You’ll have to remove your shoes and leave them in the locker, and climb a narrow flight of stairs and duck low ceilings to get to your assigned room. It’s a cafe definitely good for couples or a group of friends who are looking for a private area to relax and chat for the afternoon. 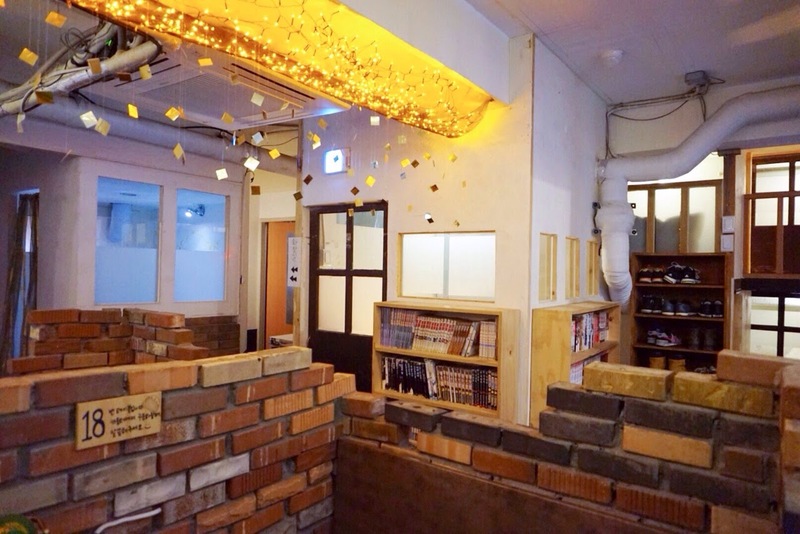 This cafe is not situated in Seoul, but it is such a beautiful cafe I just have to include it in this post. 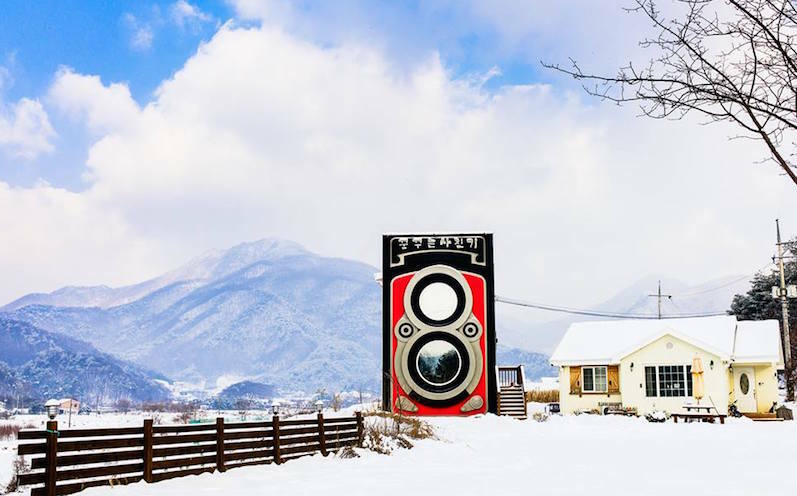 Located in Gyeonggi-do, this camera-themed cafe was opened by a South Korean couple who have a deep passion for photography. What started out as a dream became reality when contractors told them they were able to build a cafe shaped like a classic Rolleiflex twin-lens camera. 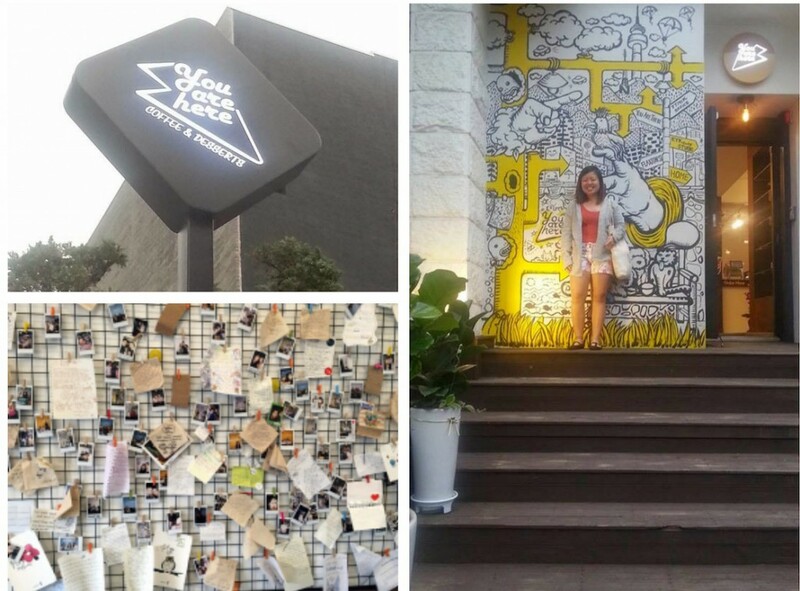 Officially opened in 2013, this cafe became an instant hit and people would travel 1.5 hours just to see this cafe. I went there with my friends and the intricate design of the entire cafe was absolutely breathtaking. Upon entering the cafe, different cameras are lined on the shelves and it is definitely a must-go if you are a camera/photography lover. The owners of the cafe are very friendly and accommodating as well. One thing to note, as it is in the countryside, there is nothing else to do there other than hanging out at the cafe. 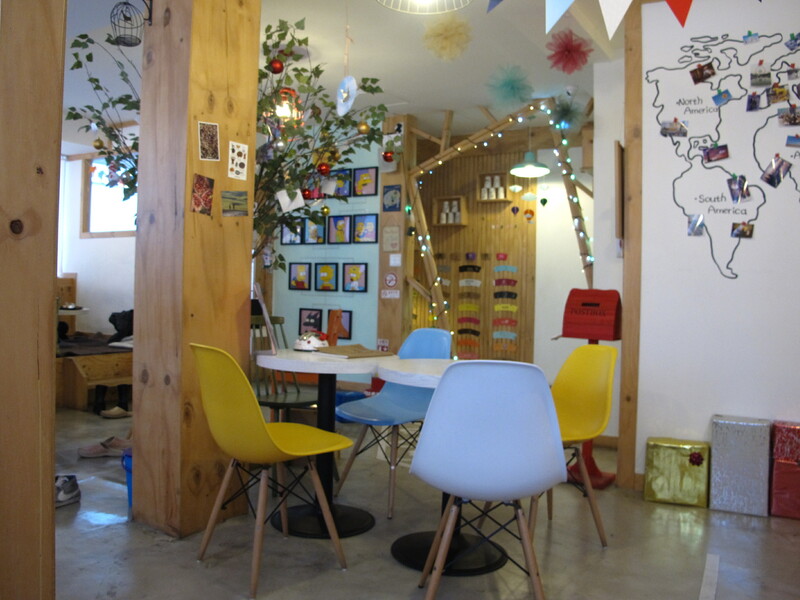 But with such a nice cafe and friendly owners, I would not mind travelling out of Seoul just to visit this cafe. Jaslynn loves the freedom of expression that comes with writing. A petite girl with big dreams, she secretly hopes to adopt all the abandoned dogs in the world one day. May i know when was your visit to Rilakkuma Cafe at Seoul? As i saw someone posting that it has been closed since February 2015. WOWW! I have been to Korea many times but I have ever been to those places. I think the Bau House Cafe or dog café simply is so interesting !! I love to play with dogs. I once walked pass the Innisfree Jeju cafe ahh I realized that should get inside hahaha. Thank you for telling many interesting cafés and I will try when I have a chance to go back.